Countless were the times my husband had to sit down by a mannequin for a stretch of two hours, and that is without any exaggeration, while our girls and myself – which makes four of us – go around the store picking the styles as we please, trying on, approving or contemplating whether to change our mind, until satisfied and wholeheartedly convinced of our picks. We then finally queue to cash the selection, of course with my husband’s credit card. That is not to mention the number of times my husband had to find all sorts of ways to entertain the girls when still toddlers. While I would hastily try on some garments, having to decide which dress or pants to take within the shortest time possible, he’d play games with them or walk them around other shops. Keeping them too long in one spot made them edgy to the extent of throwing tantrums, and only too briefly entertained by the changing room mirror, frustration often kicked in making shopping with our children an exhaustive experience. Buying clothes for him was never too much of a long wait, as he’d either have made a mental note of the shirts or pants he wanted to get, or simply go along by the instinct of buying the outfit he’d liked at first sight. So, waiting somehow became to be proclaimed an endless torture, and we came to realise that frustration does not only hit toddlers but can also affect very patient husbands. Being very honest, while men use objective logic when out shopping, women go very much by their emotions, and the larger the selection the greater their need to find the perfect dress, a specific coloured blouse or a particular scarf, the so-much-needed clutch bag and matching stilettos, the to-die-for stretch pants or simply that casual pair of jeans. Practically impossible to list them all, let alone find them all without having to hip hop from store to store, or scooter around a shopping mall. This is what brought into being the brand NOOS. Who is NOOS? A mother and wife with a passion for fashion and celebrity styles and a husband and father well acquainted with the frustrations of endless waiting time, both of whom have an immeasurable entrepreneurial drive, having breathed and fully sensed children’s tirelessly and boring shopping missions, still living and dealing with continuous demands and teenage claims of insufficient trending outfits in the wardrobe, both of whom brought their personal experiences to roof them under the realm of NOOS. What is NOOS? 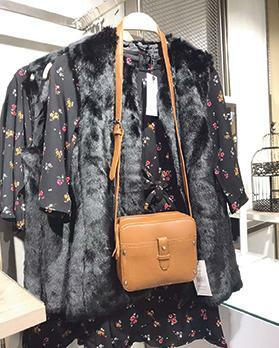 A multi-brand fashion store that not only satisfies trending fashion demands, but a brand that whatever age, gender or style, understands the needs of its customers. It offers an authentic and inspiring shopping experience for the wife who is particularly spoilt for choice, for the husband who can sit and read the papers or watch a game at the lounge bar found on the men’s floor, for the young toddlers and kids who can go on an exciting I Spy With My Little Eyes shopping assignment with mum or dad across the children’s clothing area and then proceed to safely play in the purposely designed kid’s area, for families and friends of varying ages and wardrobe preferences, for the trendy lad or mature bloke, for the teenage girl or savvy mother, for the mindset woman or stylish fashionista. 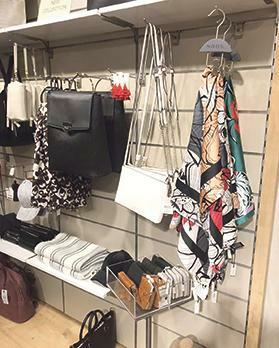 NOOS is a homespun and hands-on brand created not only for fashion trending customers, but a brand that is unequivocally about its customers, a brand that offers stylish fashion in all its different meanings. Where is NOOS? 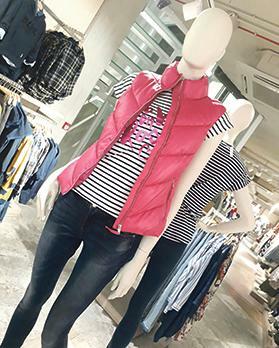 This 600 square metre multibrand concept store is in Tower Road, Sliema, Malta’s most prominent retail hub. Maria Attard and her husband Stephen Debono are the owners and originators of the NOOS brand. 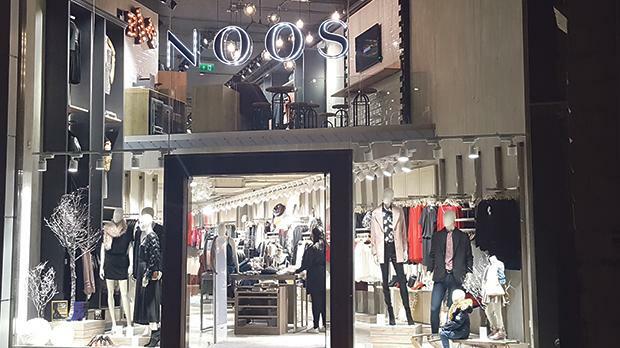 As part of its first anniversary celebrations, falling today, NOOS is offering a 20 per cent discount on all purchases made throughout the day. In addition, NOOS is also taking up appointments for free full make-up sessions and free eyelashes by renowned make-up artist Jennifer Dimech, as well as appointments for free Gelish sessions by upcoming nail artist Sabrina Bosnjak.